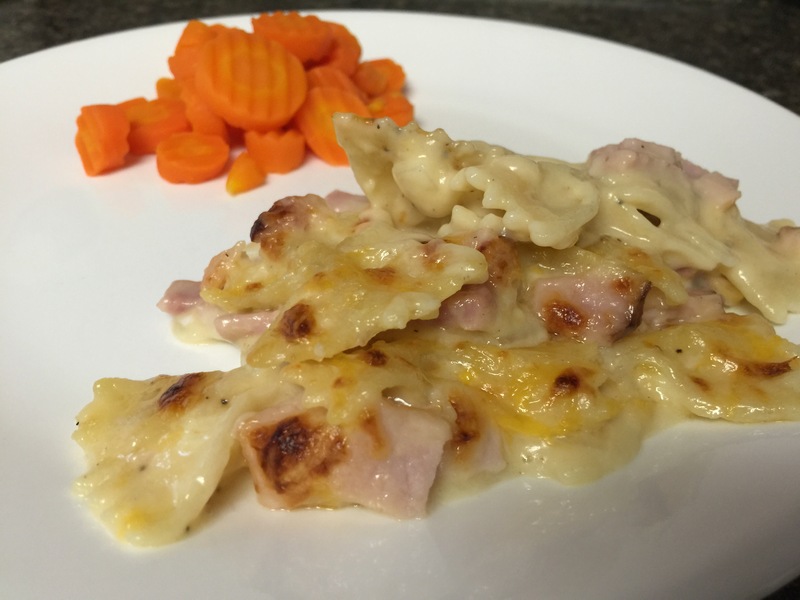 This was a tasty and fast weeknight meal. Cook rice and steam broccoli about 20 minutes before you start on the chicken. Season chicken with salt and pepper and add to a nonstick skillet. 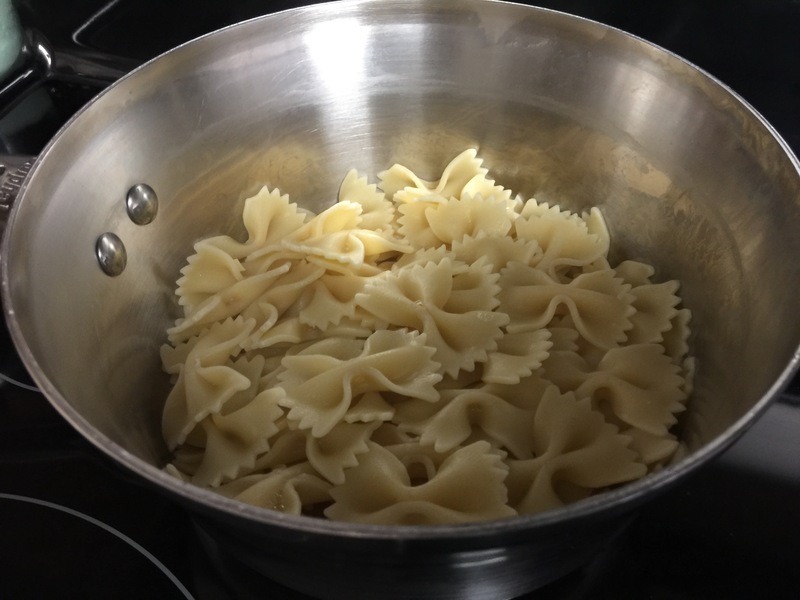 Cook until no loner pink, stirring often. In a small bowl, combine the brown sugar, soy sauce, ginger, garlic, vinegar, and cornstarch. Whisk together until there are no cornstarch lumps. Add sauce to chicken and cook stirring constantly until it thickens into a glaze. Remove from heat and serve right away with rice and broccoli. These pancakes were incredible! I may never make pancakes the same way again in all honesty! I wager the secret is using fresh squeezed lemon although I’ll have to try bottled lemon juice next time and see how it compares. Either way MAKE. THESE. PANCAKES! Also we served them with blackberry syrup and it was divine!! In a small bowl, combine flour, sugar, baking powder, salt, and lemon zest. In a separate bowl, combine butter, lemon juice, egg, vanilla, and the egg. Combine the wet ingredients with the dry ingredients and whisk until combined. Heat a greased skillet over medium high heat and pour 1/4 cup batter into the pan. Wait until bubbles form and flip when golden brown. 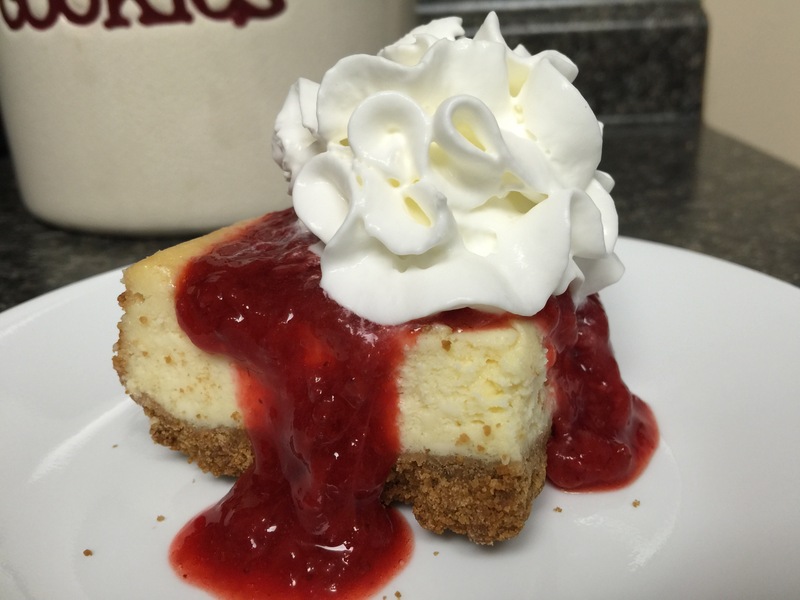 Enjoy with blackberry or other fruit flavored syrups day a large part of butter, YUM! Note: My only regret with this recipe was that one batch does not equal many pancakes. I would double the recipe for a family of four and even triple or quadruple if making for a large gathering. 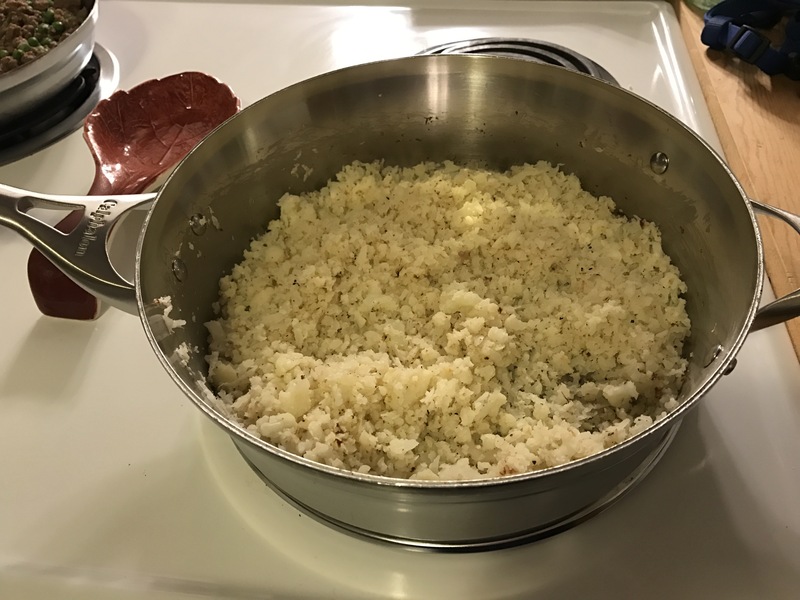 I have been very curious about this cauliflower rice business. As a Type 1 Diabetic, I tend to gravitate toward meals with lower carbs so I don’t have to take as much insulin; so this really intrigued me as a rice substitute. Rice is pretty high in carbs and long acting, both of which can spell trouble for Diabetics. When I do decide to eat it, it’s brown rice and in a very small quantity. 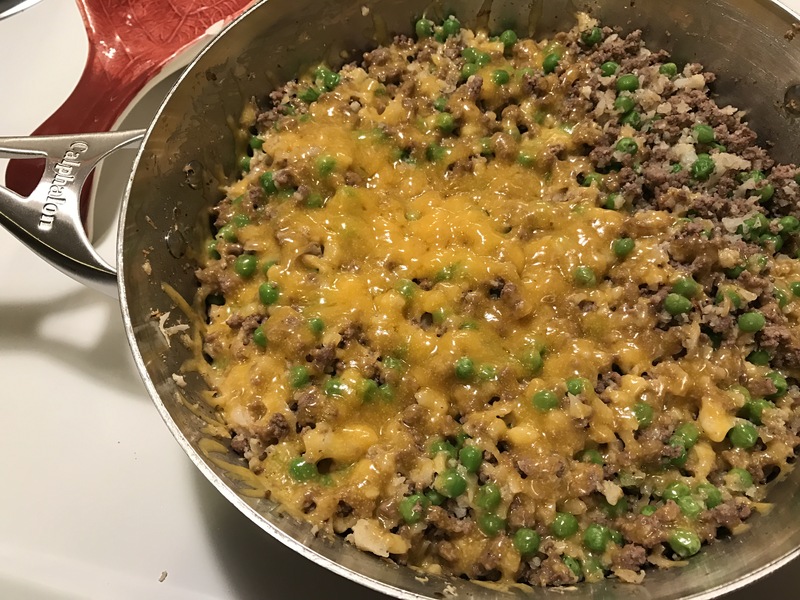 With that being said, I loved the idea of a rice replacement that is low carb, especially since rice is such a versatile meal component. So I did a lot of research and figured out the method and gave it a whirl! 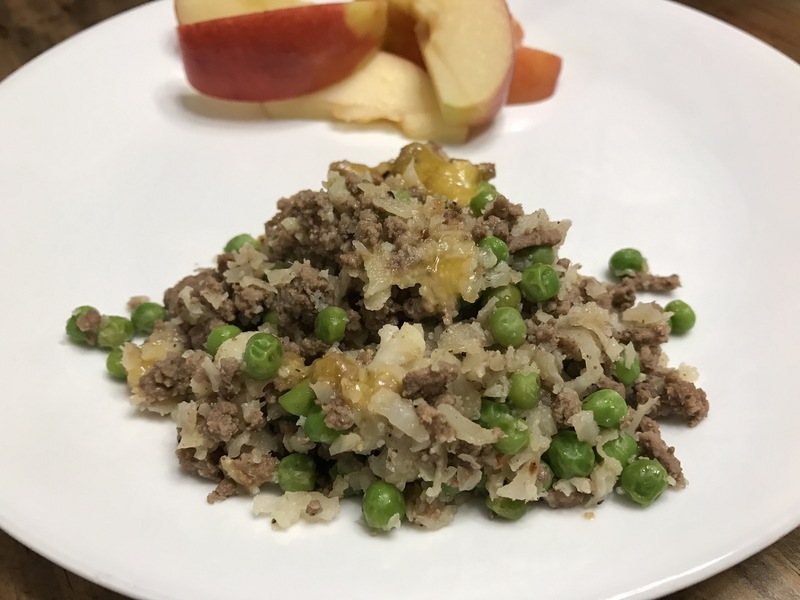 After trying the cauliflower rice, I am proud to say I’m a believer and so is my husband and two young daughters (ages 2 and 5). The only really negative thing I have to say about it is the smell of grated cauliflower is not great and even worse the next morning, so try and remember to take out your trash that night! Besides, that I really enjoyed it and you can spice it up anyway you want. 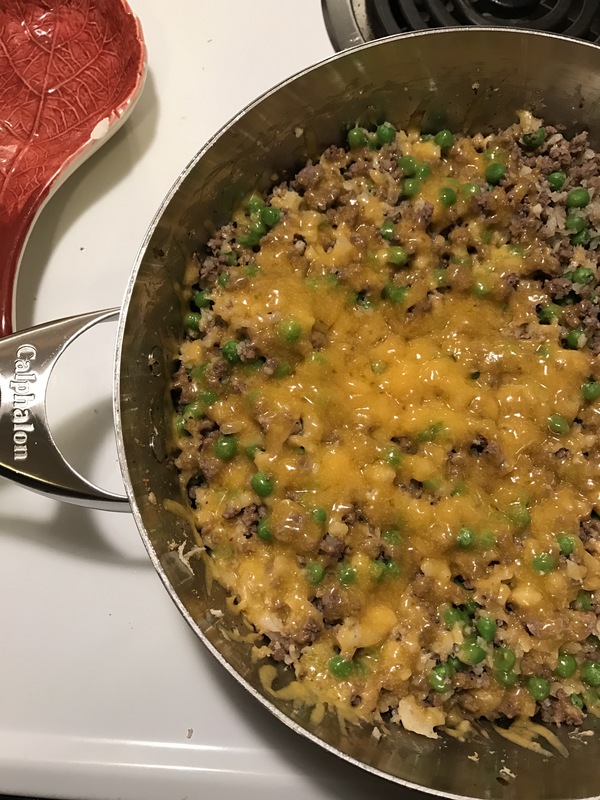 The first time I made it, I grated the cauliflower with a cheese grater, but the second time, I bought “riced cauliflower” at Trader Joe’s in the produce section. I will probably just buy the bagged version from now on seeing as they’ve done all the work for you without adding any additives, at that! I hope you try it and like it as much as we do! Look for my post on Chicken Stir-Fry with Cauliflower Rice next! – 1 head of cauliflower, grated with the side you would use to grate cheese OR you can buy the “Riced Cauliflower” at Trader Joe’s. – Begin by grating your head of cauliflower. Once grated move to a large area lined with paper towels and squeeze the water out of the grated cauliflower. 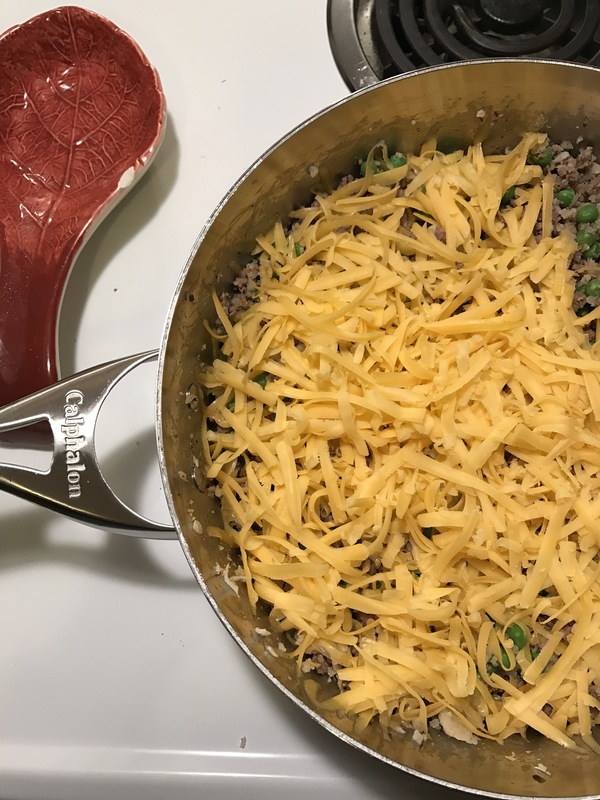 Begin by browning your ground beef. Once browned, season the meat with your choice of seasonings. I used worstershire, salt, pepper, onion and garlic powders. 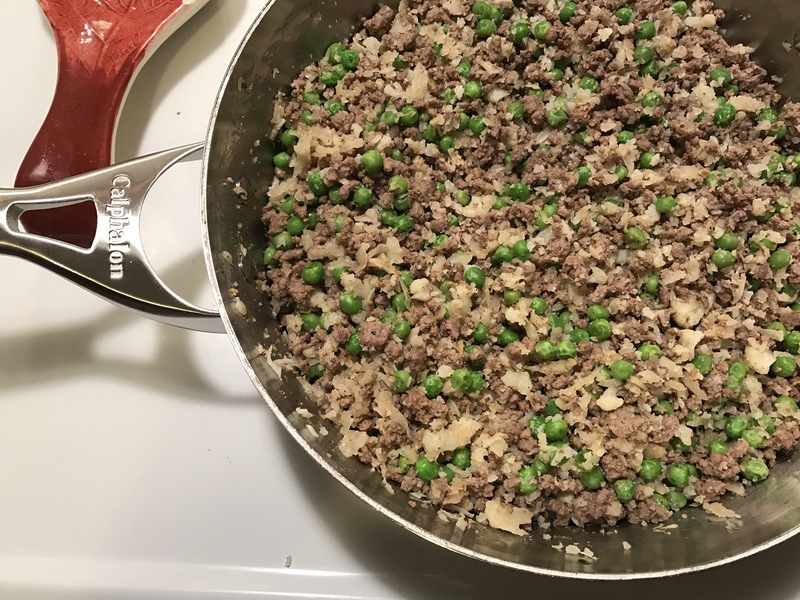 Add in the frozen peas and allow the peas to cook through. Next, add the olive oil to a large pan and once heated add the grated cauliflower. Sauté the cauliflower for about 5 minutes and then put a lid on your pan and cook for another 5 minutes, just until the cauliflower is tender. 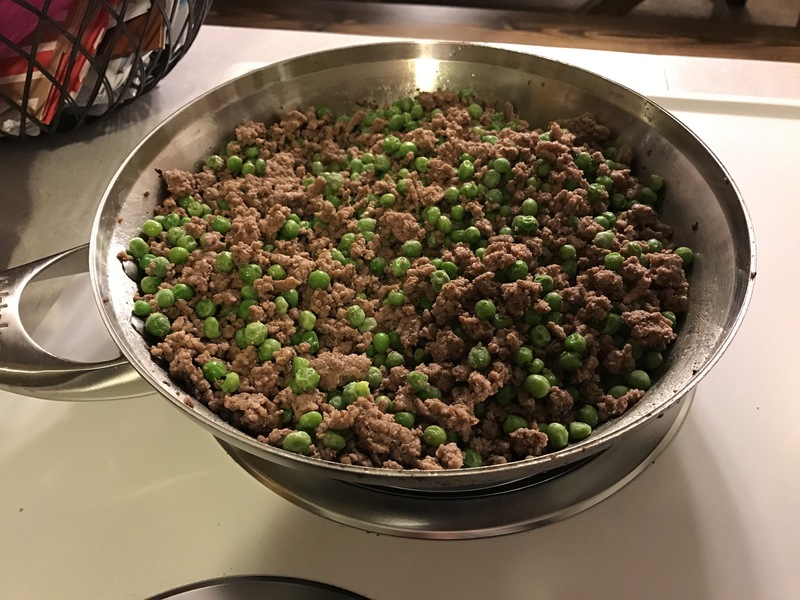 Once it is cooked, add the ground beef and pea mixture and give it a good stir. 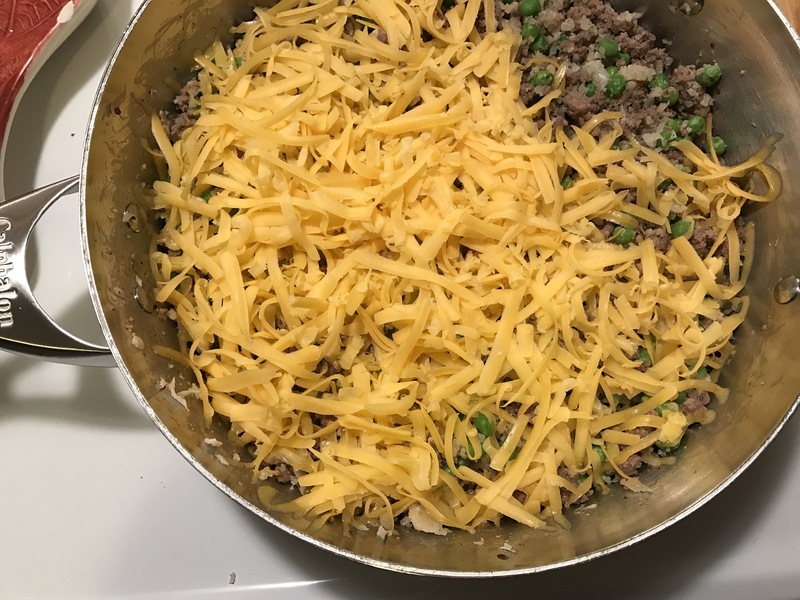 Top with the shredded cheese and Place the lid back on and allow the cheese to melt. 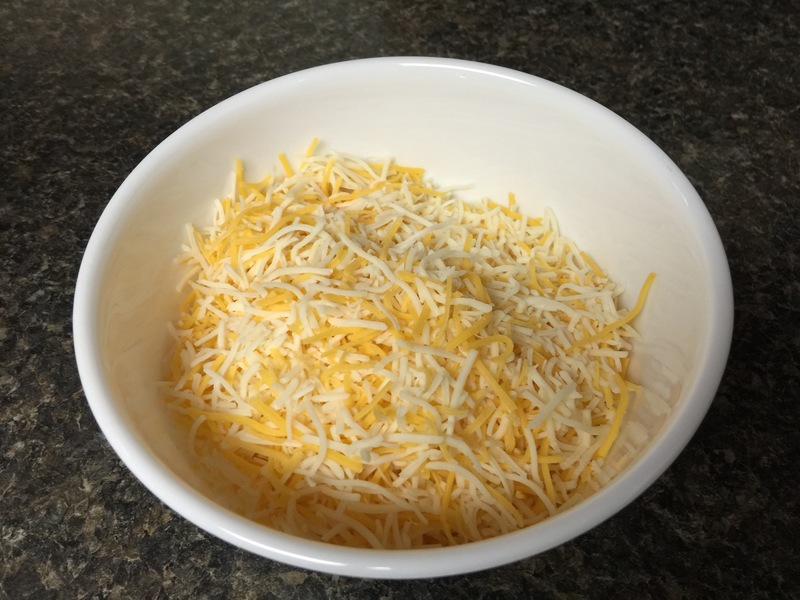 Once the cheese is melted, scoop the casserole onto plates and serve with a side of fresh fruit. FYI: you may notice in these pictures, there is a section that does not have cheese. My oldest daughter does not care for cheese so I left it off the top of hers! Meatloaf. It can be done so well, but it can also be done horribly. I’ve had my fair share of successes and failures when it comes to meatloaves (more failures sadly), but this attempt came out really good and I’ll be making it again. I did not bake it in a loaf pan, but instead shaped mini loaves and baked them on a baking sheet. That way I was able to drain some of the fat off too. Line a baking sheet with tin foil and spray with nonstick cooking spray. 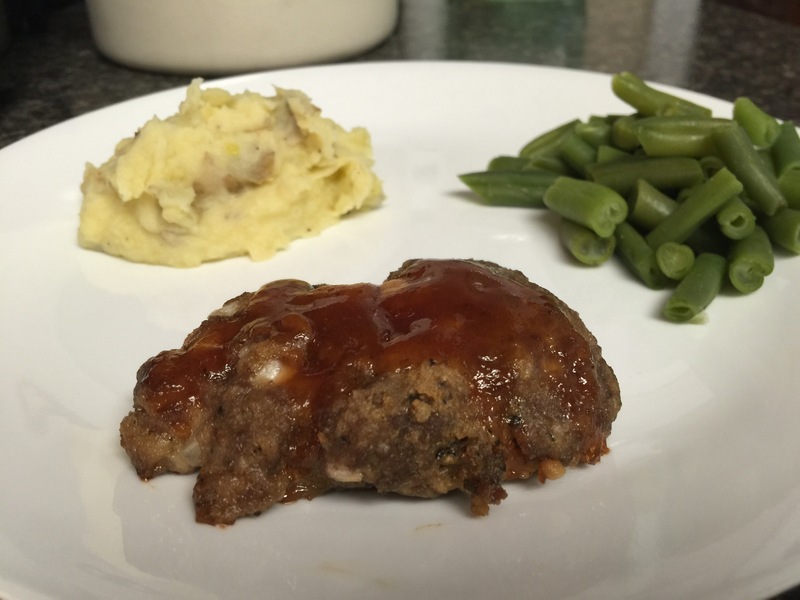 In a medium sized bowl, combine all the meatloaf ingredients and mix well with your hands. Separate into 6 even sized balls, and shape into loaves. Place the loaves on the baking sheet and bake for 15 minutes. While the meatloaves are baking, make the glaze. 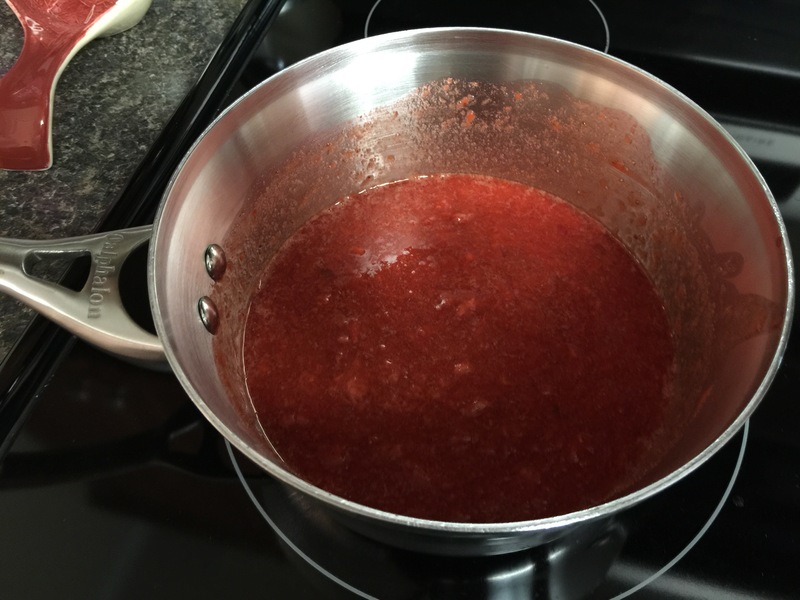 Combine the ketchup, sugar, and water in a small bowl. Stir to combine. After the 15 minutes is up, drizzle some glaze evenly over the meatloaves and put them back into the oven. Bake for another 15 minutes. Serve warm with mashed potatoes and veggies. 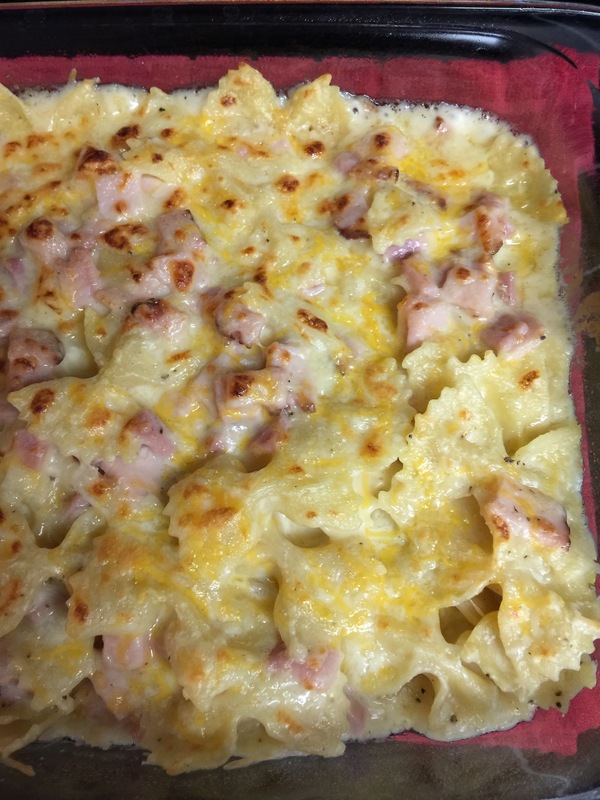 I had leftover ham from Easter that I needed to use up so I found a version of Mac and cheese with ham and sort of made it my own. It came out really good and my whole family loved it. 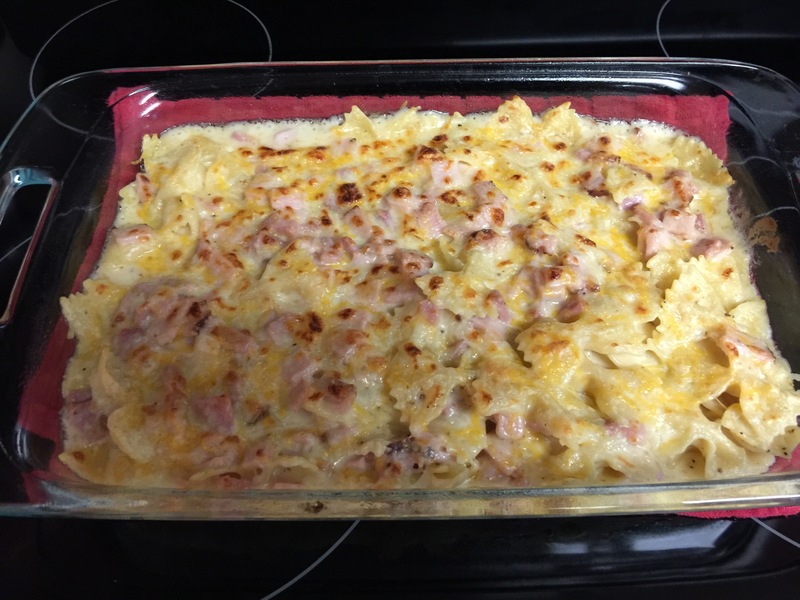 Spray a 9×13-inch casserole dish with nonstick cooking spray. Set aside. Begin by heating up a pan and adding a tbsp. of butter. 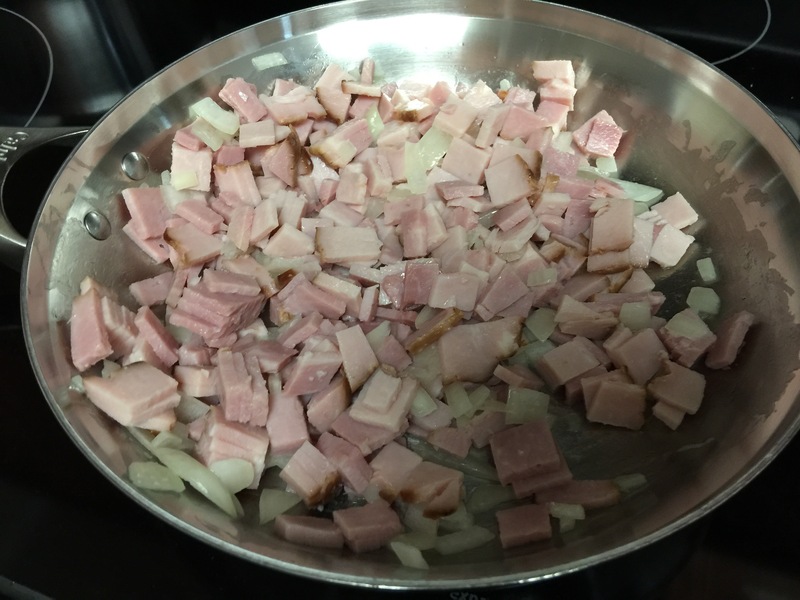 Add in the onion and diced ham. Cook for a few minutes until the onions are translucent. Pour into a bowl and set aside. 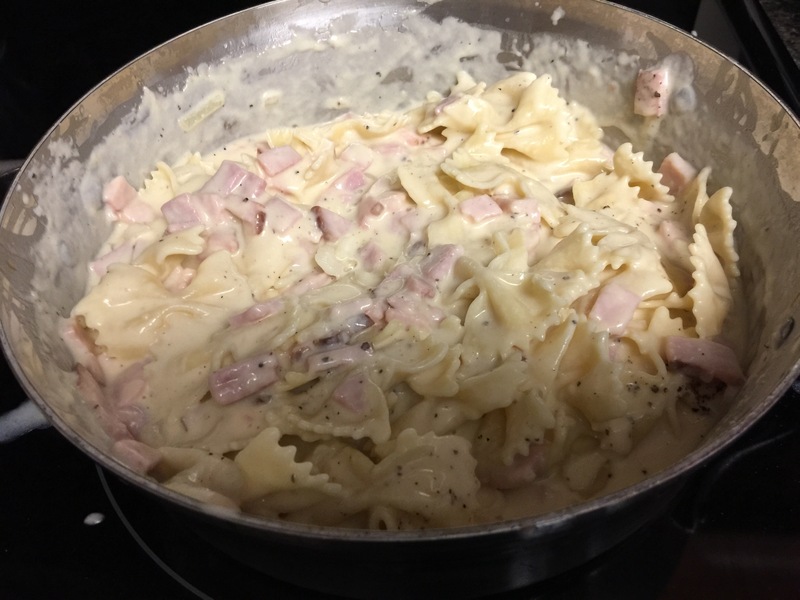 After the pasta cooks, add the butter to the pan you sautéed the ham and onions in. Once the butter is melted, add in the flour and whisk for two minutes constantly. 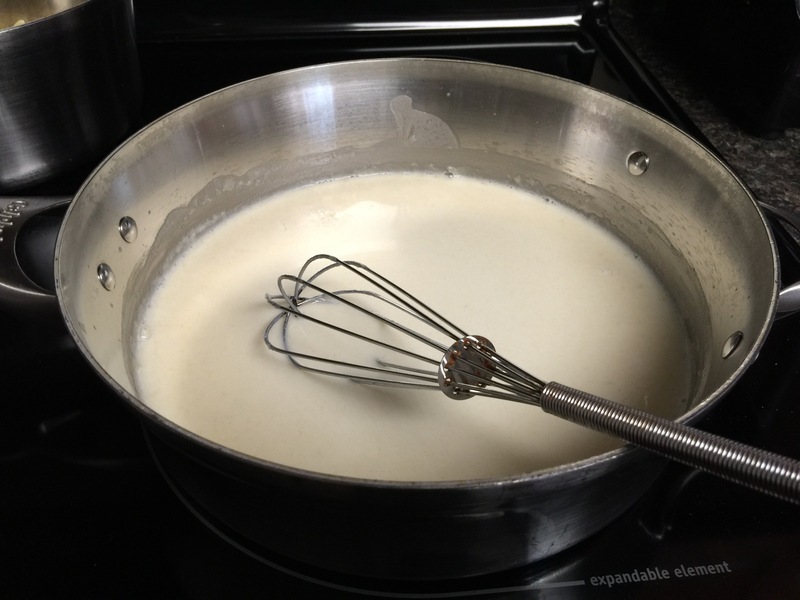 Then, add in the milk slowly and continue to whisk. Next, slowly add in the cheddar and Parmesan cheeses and whisk until the cheese is incorporated and begins to thicken. 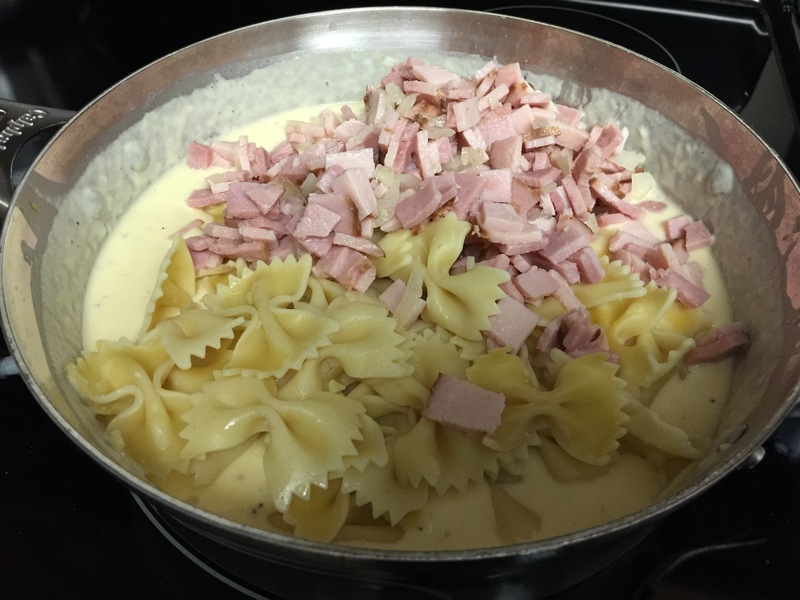 Add the pasta to the cheese sauce and then add in the ham and onion mixture. 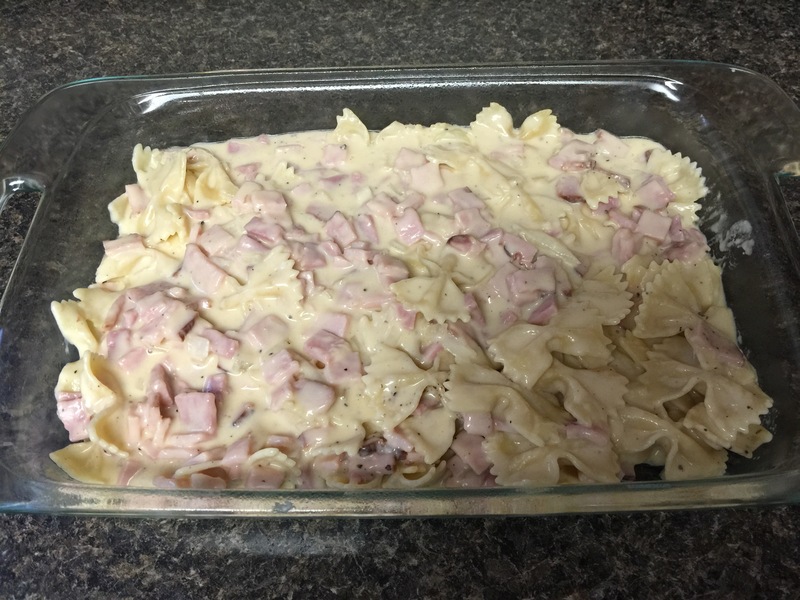 Give it all a big stir and pour into the prepared casserole dish. Sprinkle with a bit more cheese and bake for 10 minutes. After 10 minutes, turn the oven to broil and broil until the top is golden. Serve with a side of veggies. Enjoy! Begin by preheating your oven to 350F. 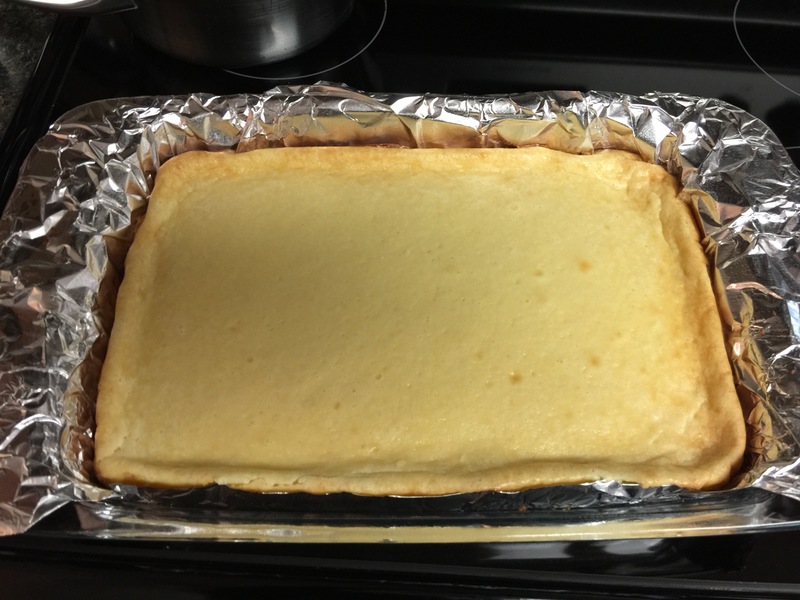 Line a 9×13-inch baking dish with tinfoil and spray it with nonstick cooking spray. Set aside. 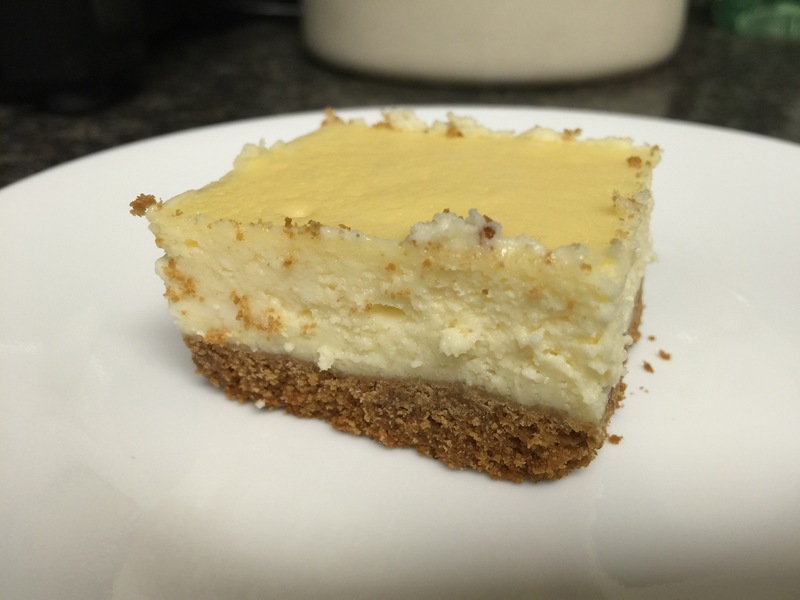 Crust: Combine the graham cracker crumbs and sugar in a small bowl. Add in the melted butter and stir to incorporate. Press moist crumbs into the foil lined baking dish, it’s ok if some come up the sides. 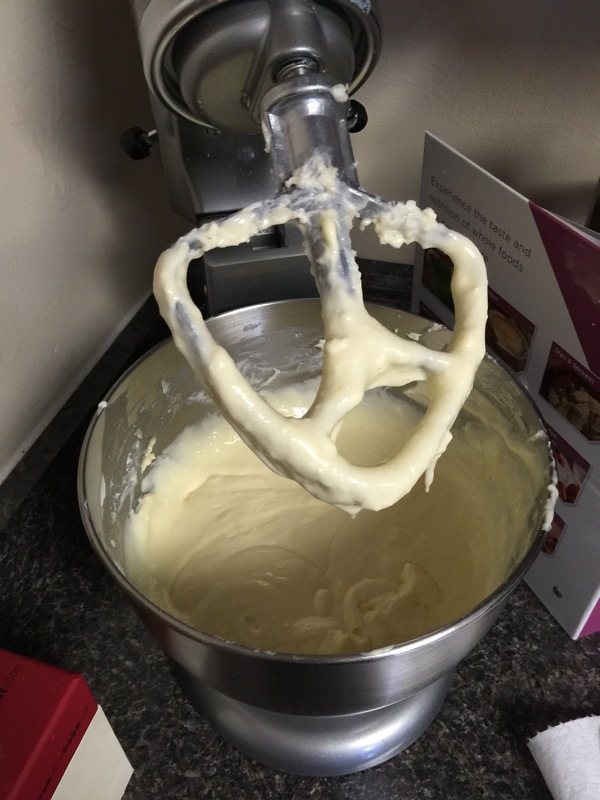 Filling: Add the cream cheese, vanilla, and sugar to the bowl of your stand mixer. Beat until smooth. Add eggs one at a time to the bowl and beat to combine. Add the sour cream and mix again. Pour the filling into the crust and smooth the top. 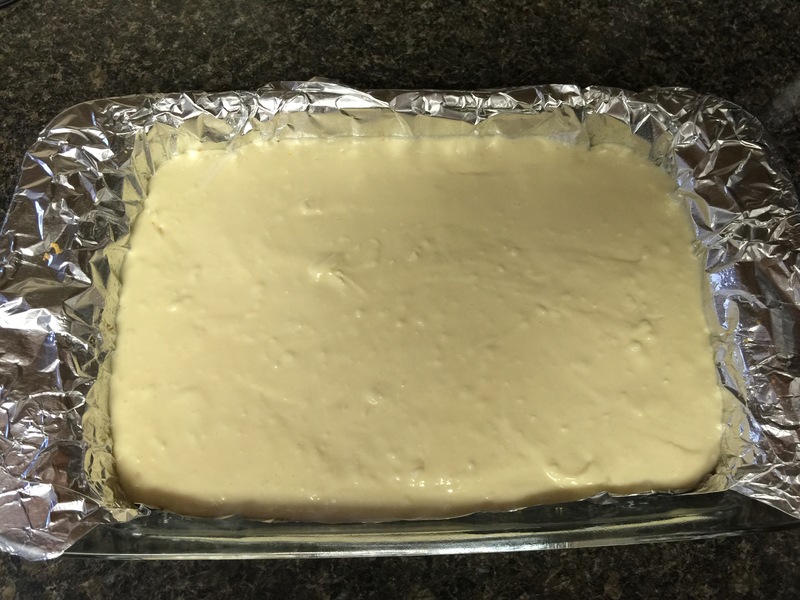 Bake for 50 minutes in your preheated oven. After the 50 minutes, turn off the oven, and open the door. Let the cake stay in the oven for an additional 15 minutes. Once the time is up remove and set aside to cool. 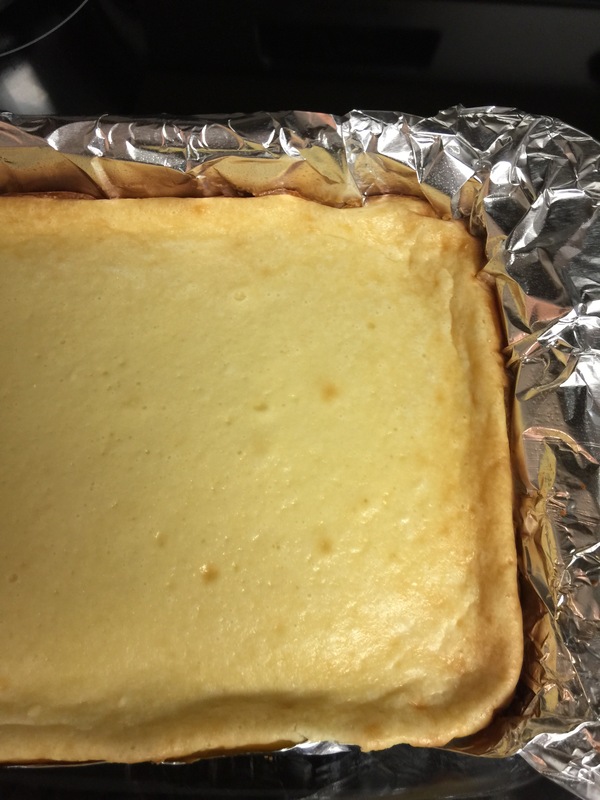 While the cake is cooling, make the filling. 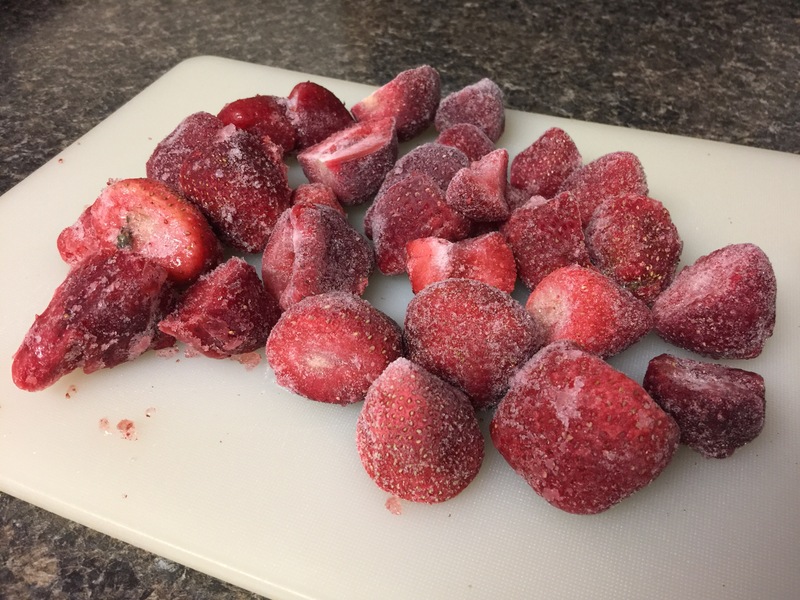 Place the frozen strawberries and sugar in a pan and turn the heat to medium. 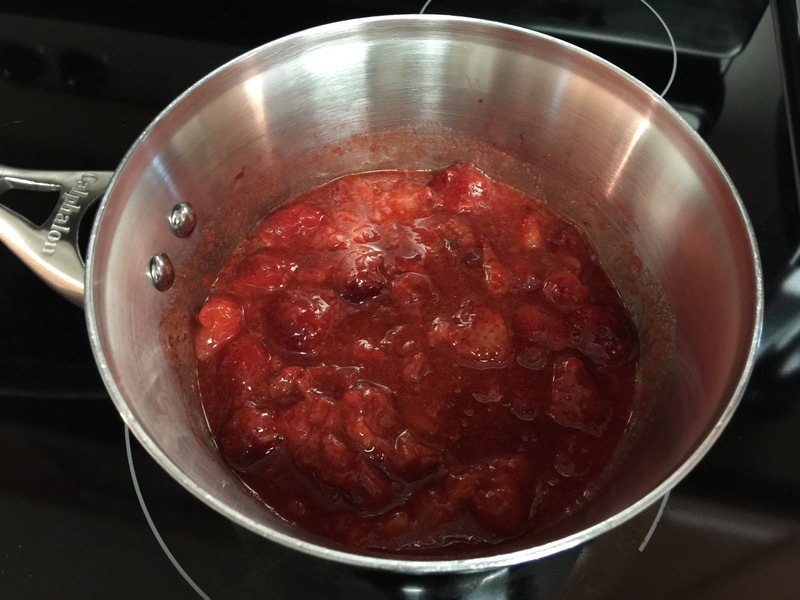 Let the berries cook down and release their juices. Once the berries are soft, mash with a potato masher, I like to leave a few of the berries not completely mashed for texture. Turn off the heat and remove the pan. Allow to cool, then place the mixture in a Tupperware and refrigerate until needed. These cookies were very good. At first I was skeptical with them not having the traditional cookie ingredients, but I had a massive jar of peanut butter I needed to use up, so have them a shot. 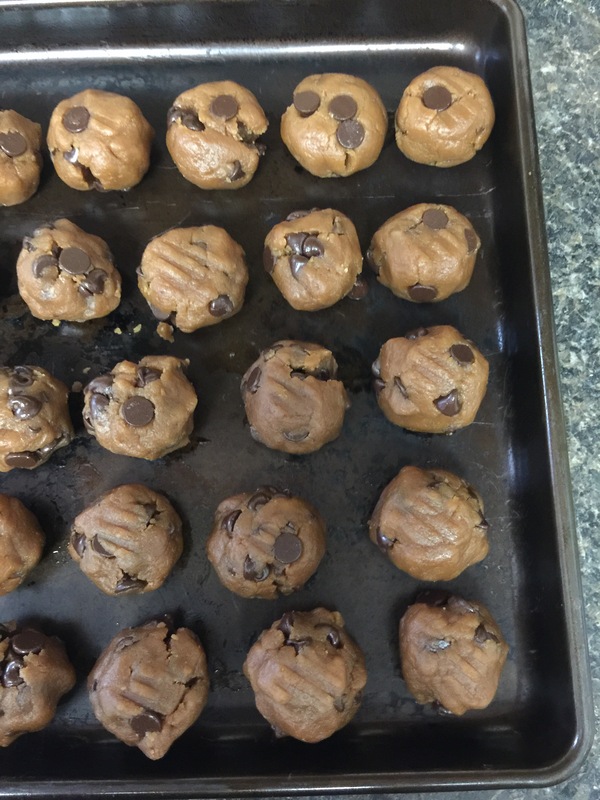 They came out very moist, packed full of chocolate, and the peanut butter came through nicely. 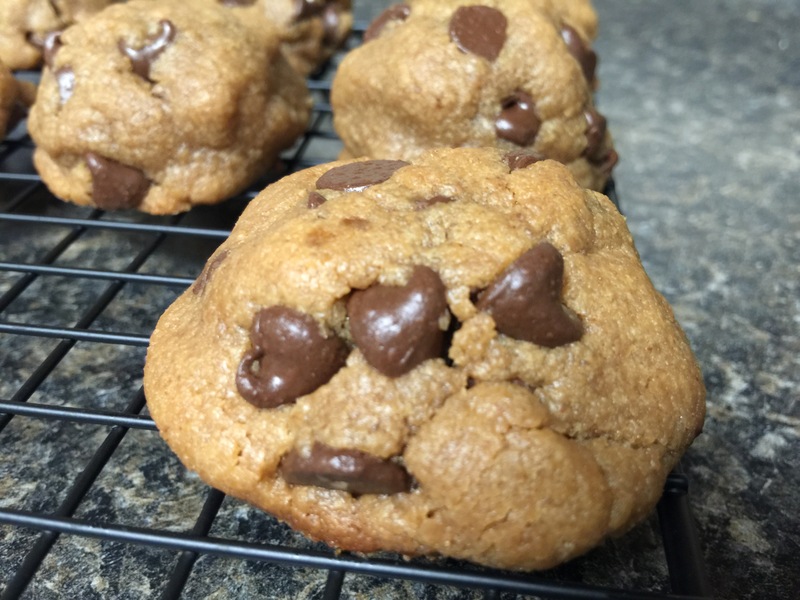 Everyone could not believe they were flourless, butter free, and white sugar free! 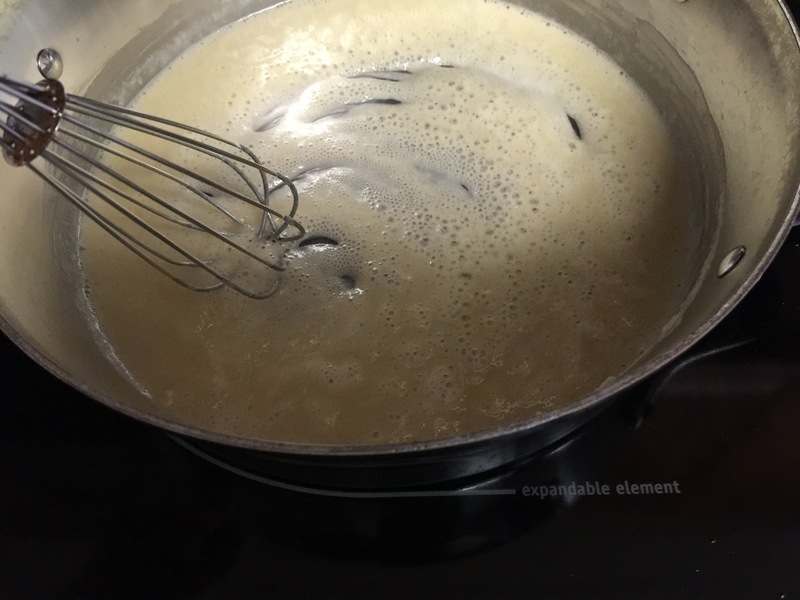 Begin by combining peanut butter, brown sugar, egg, and vanilla to the bowl of your stand mixer. 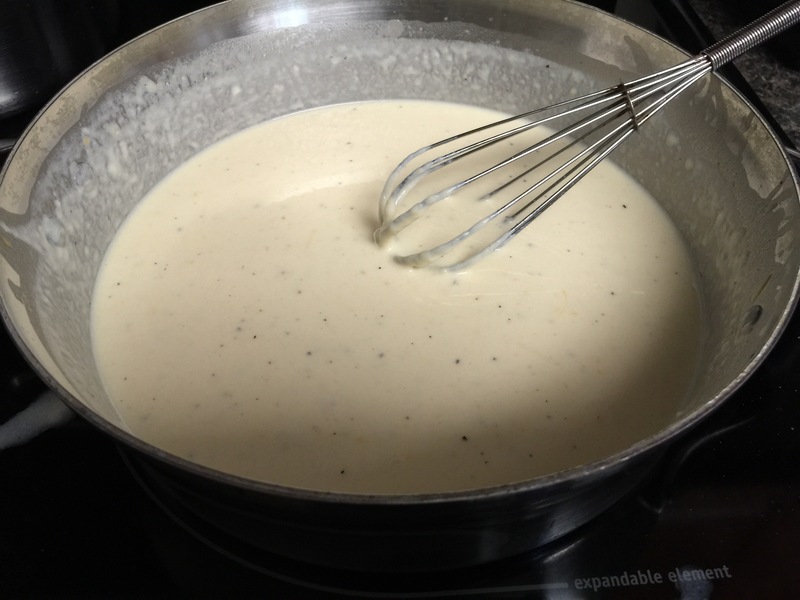 Cream together until it is nice and incorporated and the texture is not grainy from the sugar. Add the baking soda and beat to combine. 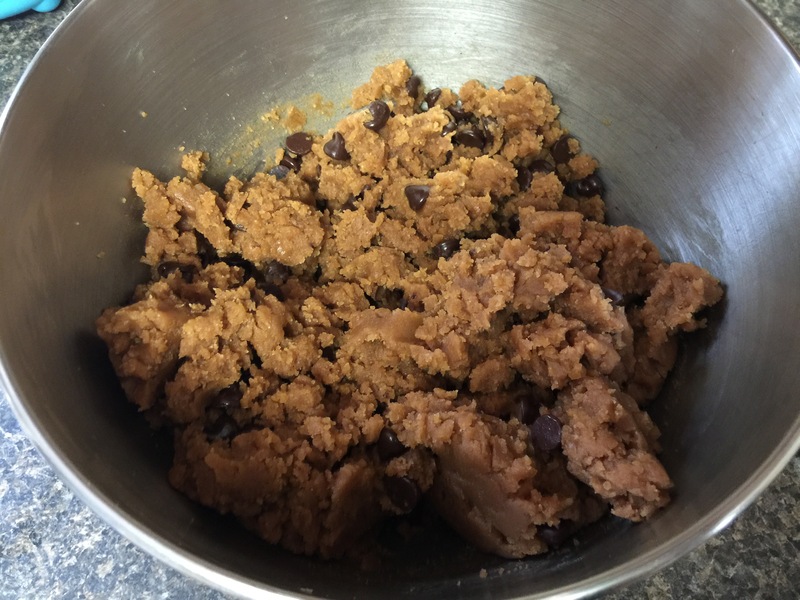 Add the chocolate chips and beat to combine. Using a cookie scoop, scoop out dough and roll together in your palms, creating spheres. This helps the abundance of chocolate stay together in the cookie. 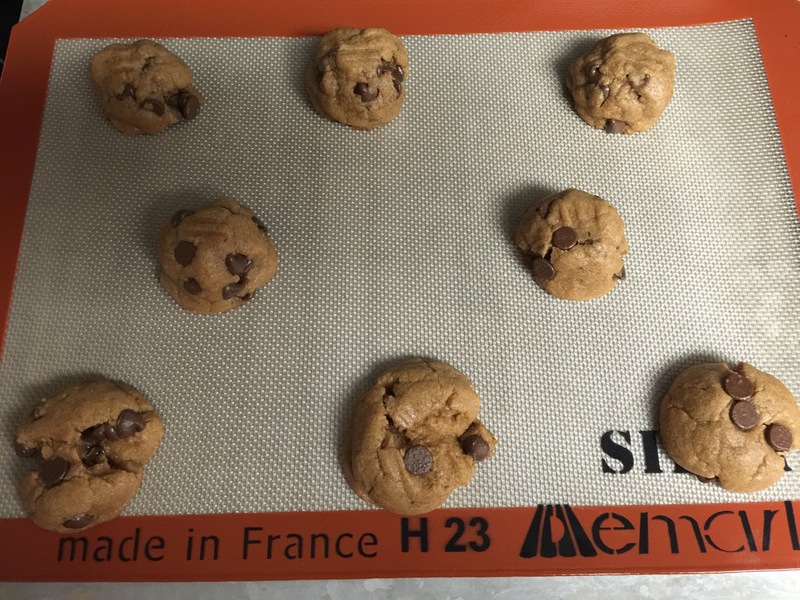 Place balls on a large cookie sheet and cover with plastic wrap. Chill for at least two hours before removing the dough balls to bake. Preheat oven to 350F. 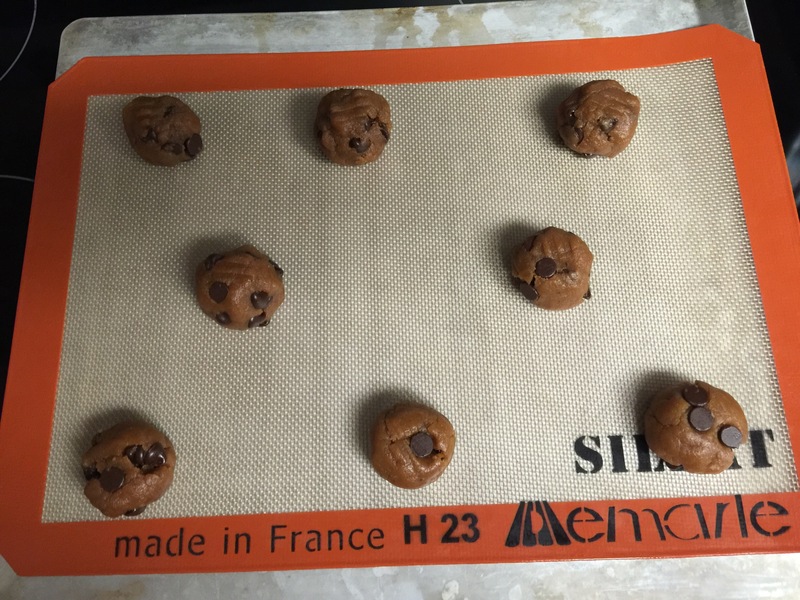 Line another baking sheet with a silpat or wax paper and place the dough balls a couple inches apart. Bake the cookies for 8-9 minutes or until you notice the edges getting slightly crisp. 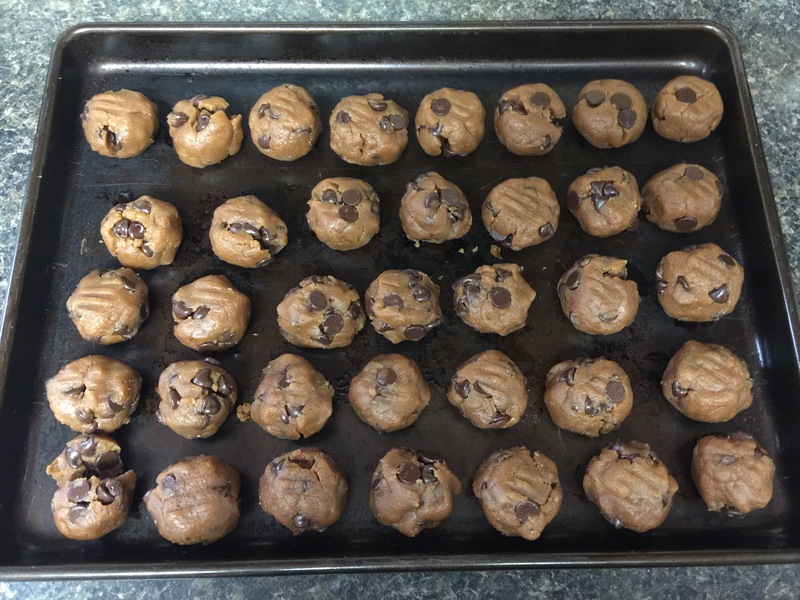 Even if the cookies seem soft in the middle, they will firm up once removed from the oven. 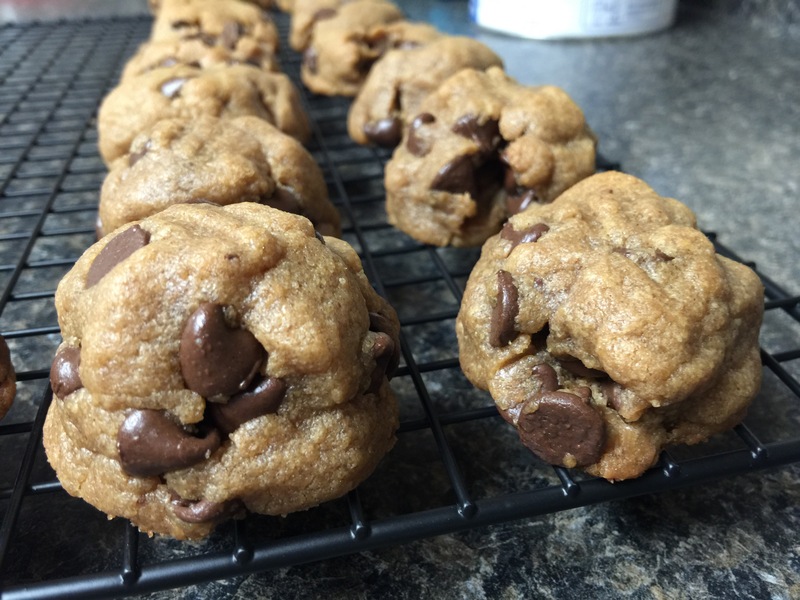 You do not want to over bake these cookies or it will really ruin the softness. 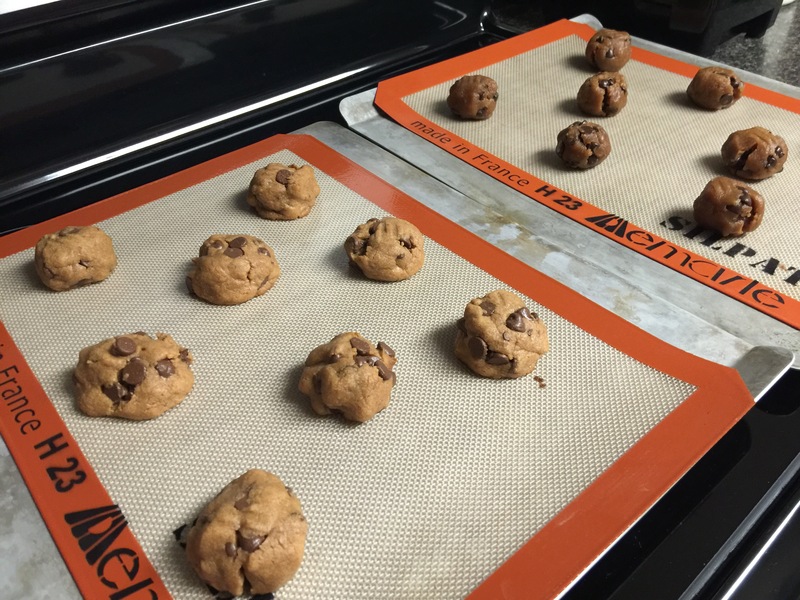 Allow cookies to cool on the cookie tray for about 10 minutes before removing them to a wire rack to cool completely.